Tucker M. Katz is a Shareholder with Dietze and Davis, P.C., a full-service law firm in Boulder that has provided exceptional legal services to the community for over 40 years. Tucker has practiced family law since finishing a clerkship with a Boulder County District Court Judge in District in 2006. In his practice, Tucker prioritizes collaboration with clients and critical analysis of each case. Skilled in negotiation, settlement and litigation, Tucker works diligently to achieve the most favorable outcomes for his clients. Tucker is an active member of his professional community, including the Colorado Bar Association and Boulder County Bar Association. He is a former member of the Board of Directors for the Boulder County Bar Association. Tucker has received numerous awards and been recognized for his outstanding record of professional success, community service achievements, and a strong commitment to civil participation and inspiring others within the legal profession and community. In November of 2008, Tucker was named as one of three state-wide finalists for the Colorado Bar Association's Gary McPherson Outstanding Young Lawyer Award. 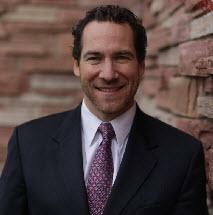 In 2013 and 2014, Tucker was selected as a Colorado Super Lawyers Rising Star. The Super Lawyers Rising Star designation is given to attorneys under the age of 40 who have distinguished themselves in their legal practice. The selection process for Colorado Super Lawyers Rising Stars is rigorous and the result of third-party validation of professional accomplishments. Only 2.5% of the lawyers in Colorado are selected as Rising Stars.